 Throw a 25th Annual SAG Awards® Viewing Party to Remember! LOS ANGELES (Jan. 23, 2019) – Watching the 25th Screen Actors Guild Awards® with friends is the next-best thing to being there in person. To make it even better, we’re providing a few free things to make your at-home viewing party a memorable one. Create your own activities, too, and post them to social media with the hashtag #sagawards – we’ll be looking at all of them and sharing the ones we particularly like. While you’re planning, get in the spirit of celebration by visiting the People.com “Fantasy Table Poll” and vote for which nominees you wish you could sit with at the SAG Awards® on Sunday, Jan. 27. Ballots that show all of the nominees – Fill in your choices before the show starts at 8 p.m. ET / 5 p.m. PT on Sunday, Jan. 27 then check your answers as the honorees are announced during the telecast. Maybe you could offer a prize to the guest whose choices were closest to SAG-AFTRA members’ votes! Selfie props – You’re going to be taking selfies anyway. Use these props, including one of The Actor® statue itself, to mark the occasion. Don’t forget to tag #sagawards when you post them. Bingo cards – Instead of letters and numbers, these bingo cards let you mark a square when you spot specific things about the actors both during the official live pre-show PEOPLE, Entertainment Weekly & TNT Red Carpet Live: 25th Screen Actors Guild Awards on multiple platforms** (see below for where to watch) and during the telecast. It’s another good excuse for a prize! Appetizers – Cooper’s Hawk Winery & Restaurants have provided recipes for two of their signature appetizers that you can download and prepare for your guests. As the Official Wine of the SAG Awards, to celebrate of the SAG Awards Silver Anniversary, they also created the special Artist’s Red Blend wine that will be served throughout the evening at the venue and at their own in-restaurant viewing parties. Cocktails – The nominees and guests at the 25th SAG Awards and at the official Post-Awards Gala will be offered three different cocktails created specially for our Silver Anniversary by Chopin Vodka and its family of brands. Download the recipes and drink along with your favorite actors! Invitations – Invite all of your friends to join you with these custom-designed invitations. Most importantly, don’t forget to watch the 25th Annual SAG Awards when it’s simulcast live Sunday, Jan. 27, 2019, at 8 p.m. ET / 5 p.m. PT on TNT and TBS, using your choice of their television channels, their websites or their apps, and with the Spanish subtitles if you prefer.